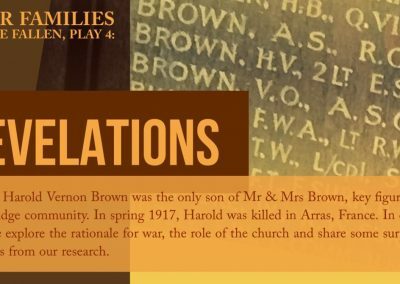 Over the coming months we will devise and perform four ORIGINAL plays about the families of the servicemen named on the wooden Roll of Honour, which is displayed in St James’ Parish Church, Weybridge, Surrey, UK. 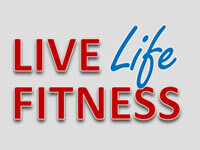 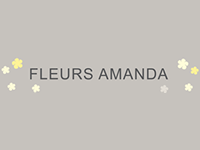 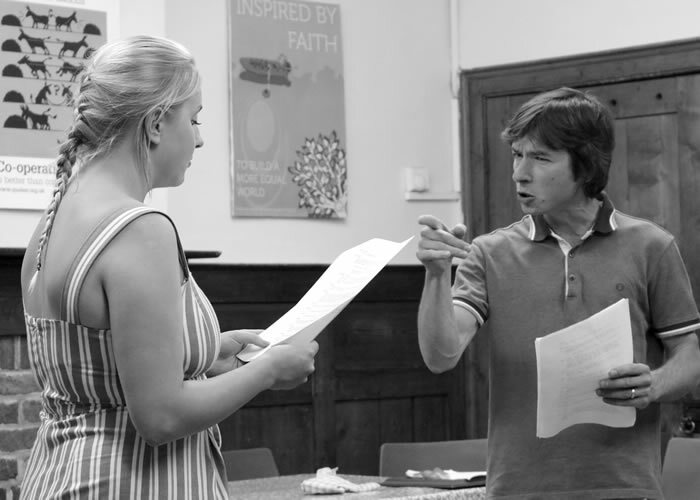 Our short dramatisations are all inspired by REAL PEOPLE and based on TRUE EVENTS. 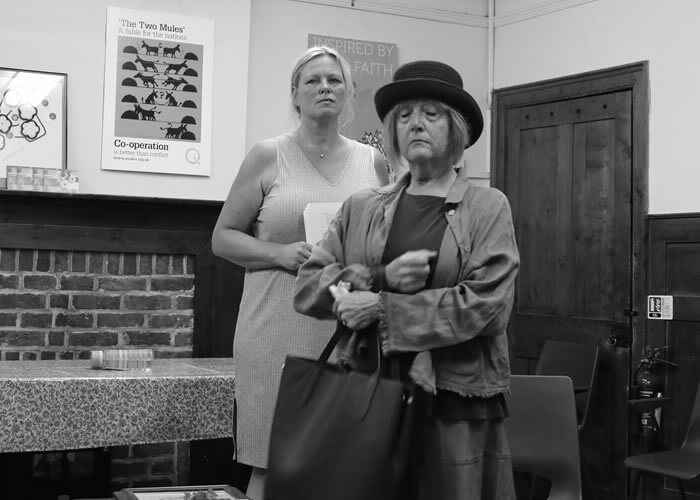 Supported by The RC Sherriff Trust, we will perform these play in different locations around the Borough of Elmbridge: Walton, Esher and Weybridge over the weekend of September 8th / 9th 2018. 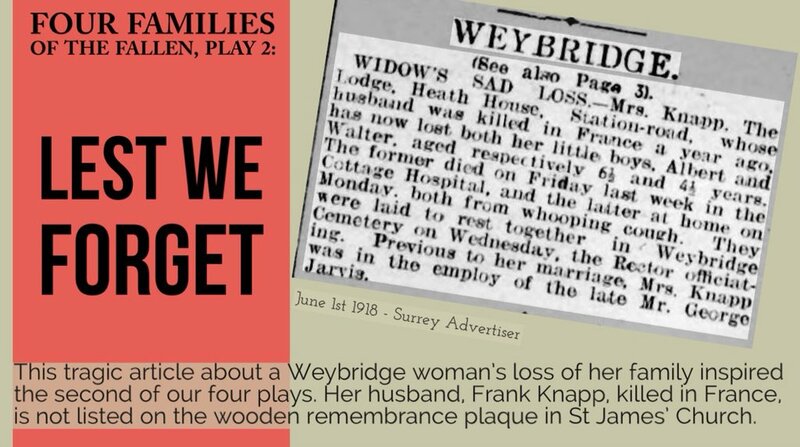 Also an extra performance on 11th November 2018 – Remembrance Sunday at Brooklands Museum Weybridge. 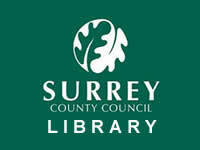 Brooklands Museum Weybridge – New Date Announced! 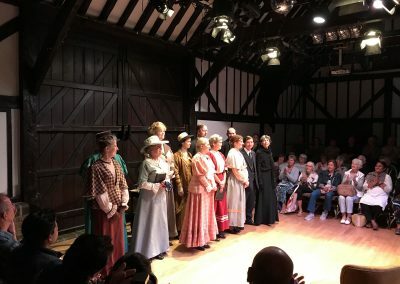 We’re all thrilled to have been invited by Brooklands Museum to perform as part of Preparing for Peace, a special event to commemorate Armistice and the end of the Great War 100 years ago. 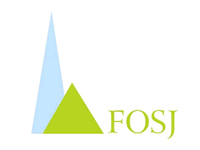 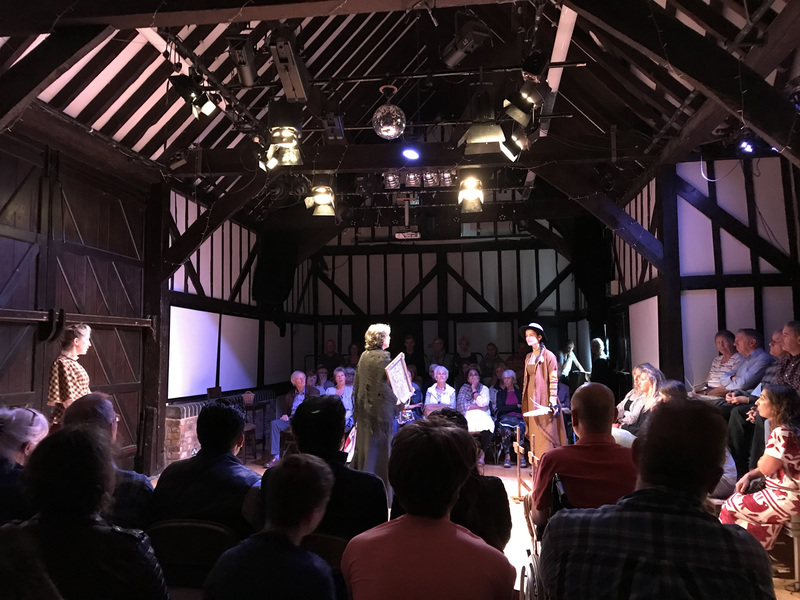 We’ll be joining other performers including Jenny Lockyer and Vern Griffiths who will be performing poetry and prose throughout the first half of the event. 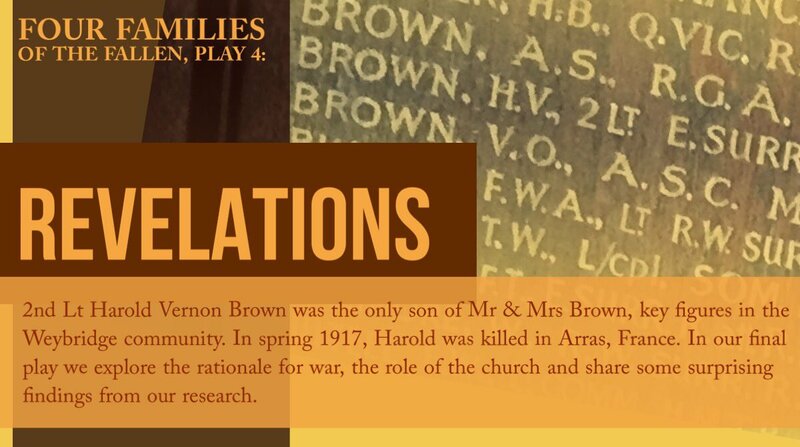 The four plays will be performed back-to-back. 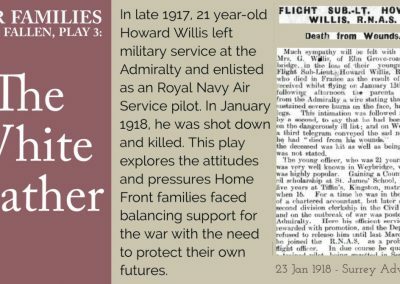 A group of amateur actors are set step into the shoes of some of the family members of Weybridge’s servicemen who were killed in the First World War, for a special performance marking 100 years since the end of the Great War. 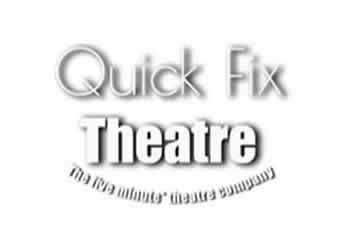 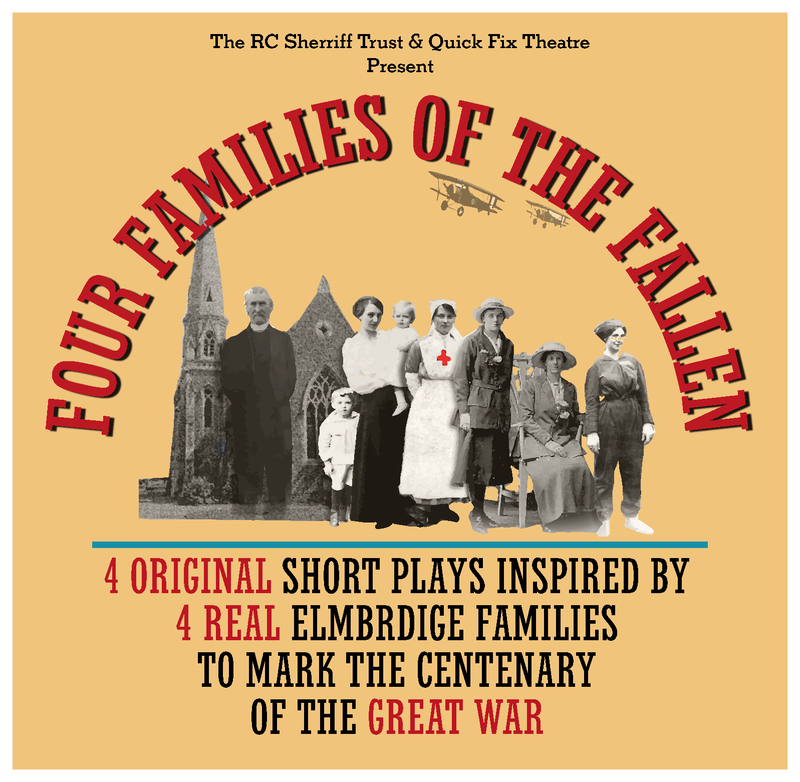 Inspired by the wooden roll of honour at St James’ Parish Church, Weybridge, and based on real lives and event, Four Families of the Fallen is a special performance by Quick Fix Theatre of four original 10-minute plays that explores the realities of the Weybridge Home Front. 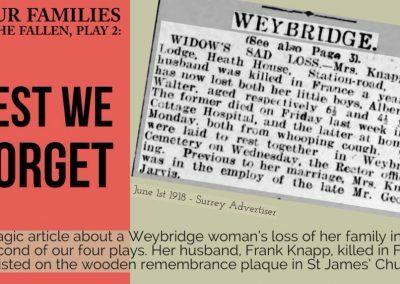 Devised by the cast using parish records, archived newspaper articles and academic papers, Four Families takes place in the immediate run up to Weybridge’s 1918 memorial service, which took place at the end of July that year. 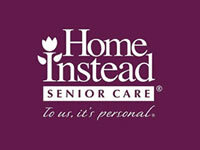 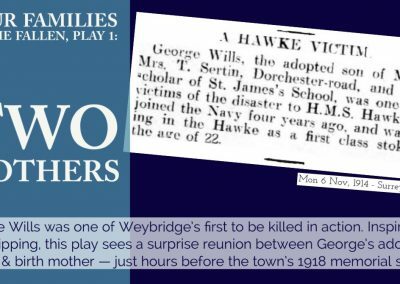 Through each of the plays audiences will be introduced to former Weybridge residents from a century ago – many of them related to the servicemen whose names can be read today on the wooden roll of honour. 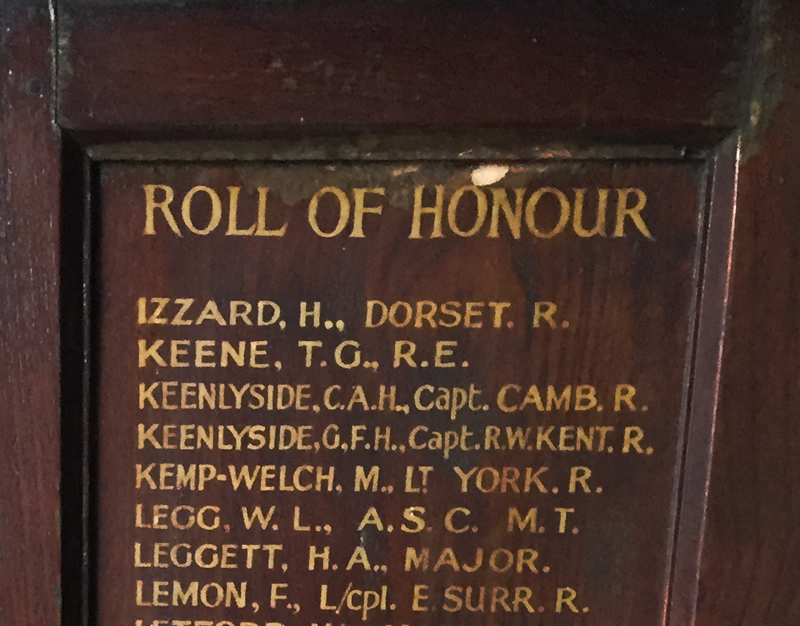 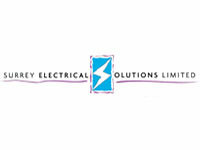 This includes people like Reverend Buller, the former Rector of St James’ Church who presided over the memorial service; Mrs Brown, the community stalwart and wife of a former headmaster at St James’ School; and Mr Willis a local businessman who appealed to town’s tribunals to save his livelihood. 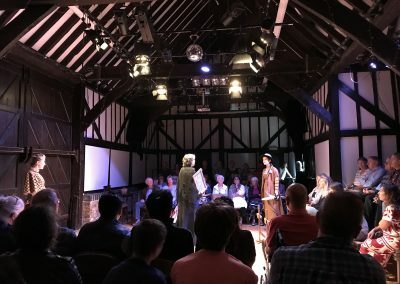 The performances, which take place in Weybridge, Walton and Esher on Saturday 8 and Sunday 9 September, are the culmination of an innovative, nine-month community theatre project designed to commemorate the centenary of the end of the First World War. 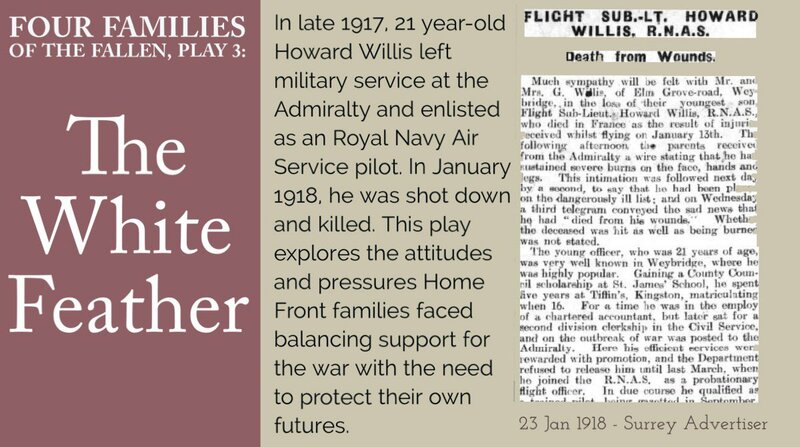 Supported by The RC Sherriff Trust, a charity that works to advance the arts across Elmbridge, and led by volunteers with Quick Fix Theatre, working with a professional director, the cast of adults have immersed themselves in First World War local history to create four compelling stories will reveal untold or forgotten stories about Weybridge’s local history. 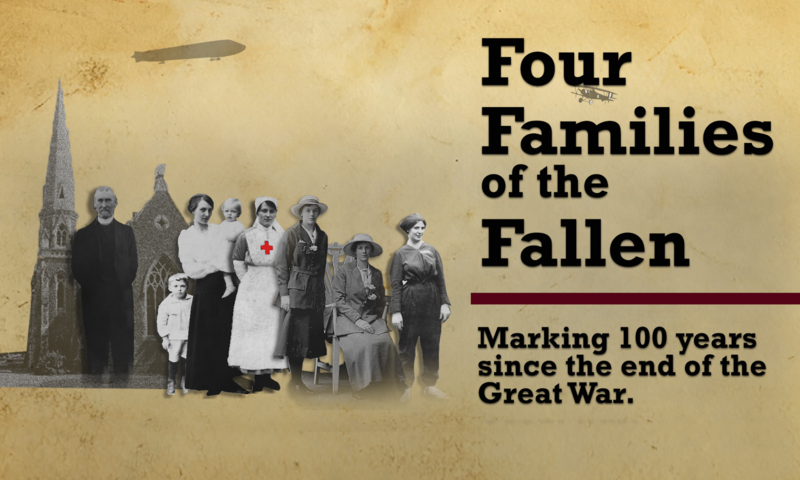 Ben Wilson, chair of Quick Fix Theatre, project originator and lead writer of the Four Families of the Fallen project said, “We wanted to give a special performance to mark the centenary of the end of the Great War, something that could connect our audiences directly with their local Great War history. 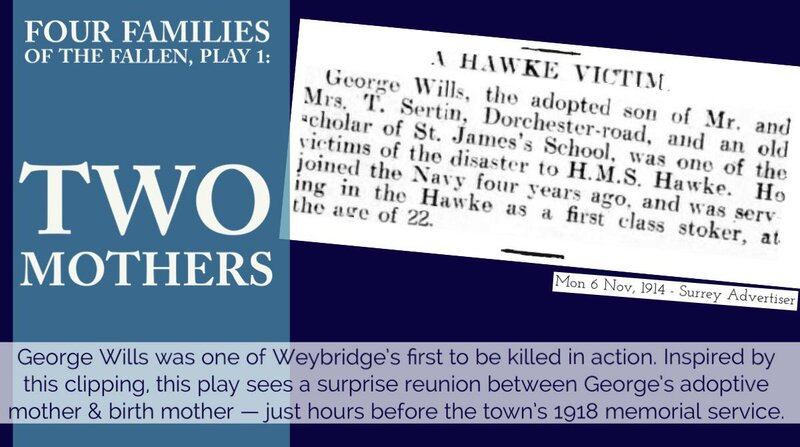 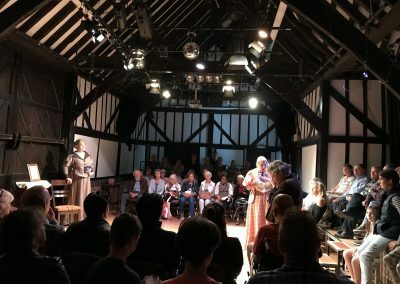 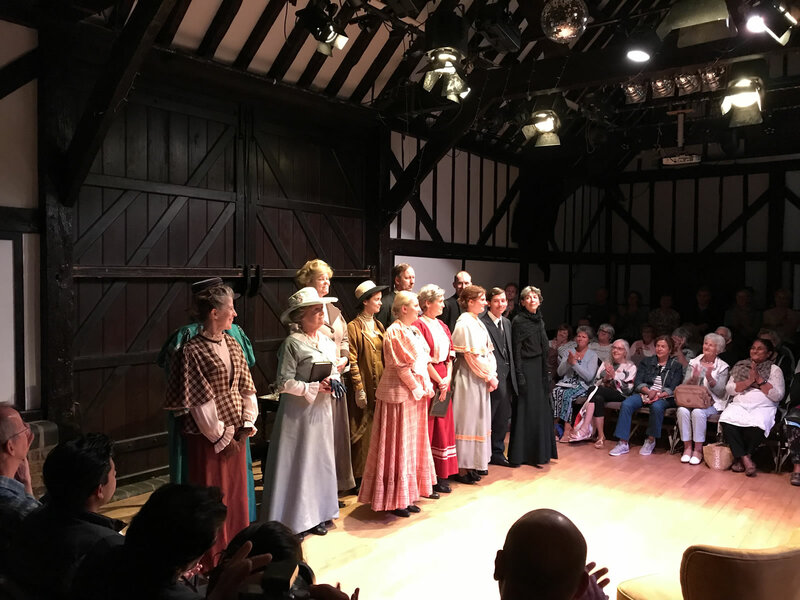 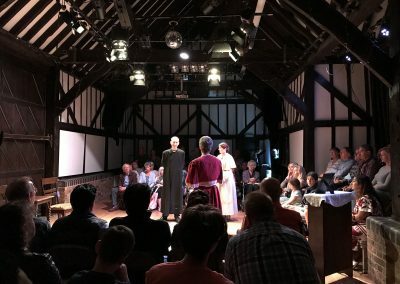 Each of plays is a researched dramatization that will give audiences a brief glimpse into some of the personal stories of four different Weybridge families, but all connected in some way to the wooden roll of honour — the same roll of honour visitors to St James’ Church can see today. 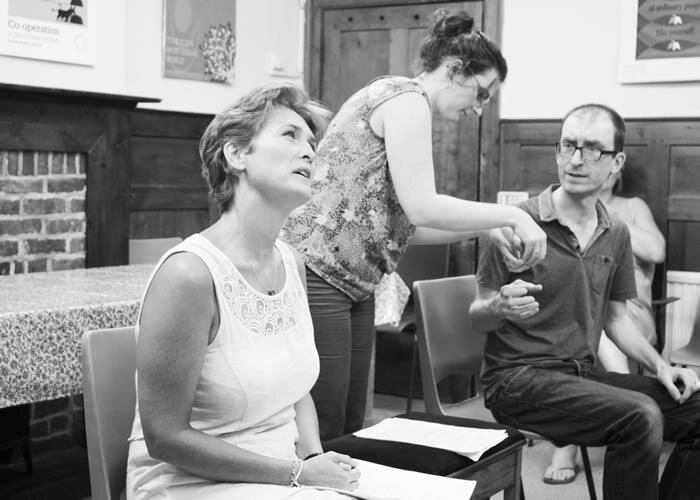 For the whole cast, this project has been an eye-opening experience of what life was really like for the families of Great War Weybridge and others on British Home Front. 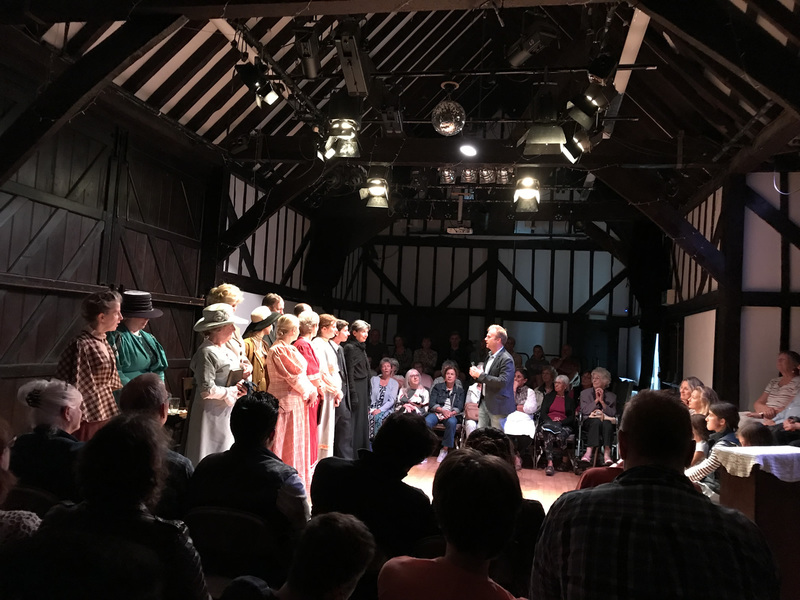 Pete Allen, director of The RC Sherriff Trust, said: “The Trust is the legacy of the RC Sherriff, who shot to fame in 1928 with Journey’s End – a play about the Great War that was included in the National Theatre’s list of the 100 most influential pieces of theatre of the 20th Century. 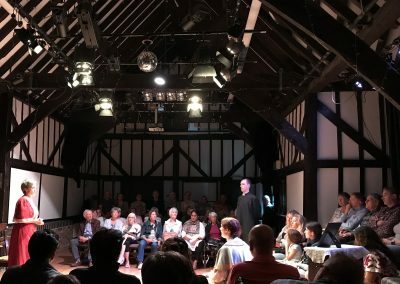 *St James’ Parish Church, Weybridge is the setting for two out of the four plays and it’s home to the memorial that originally inspired the project. 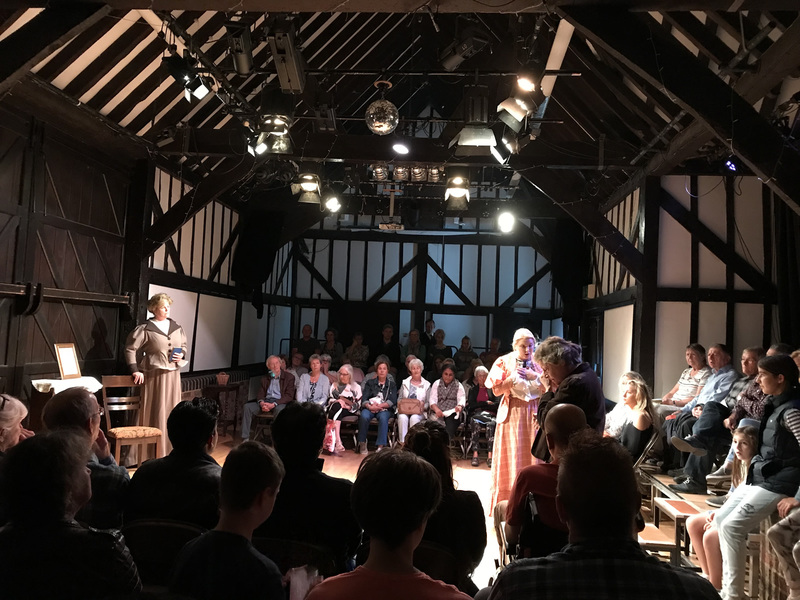 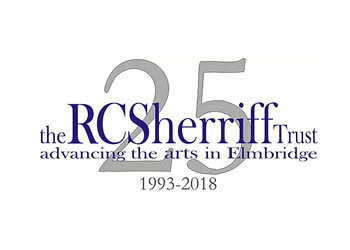 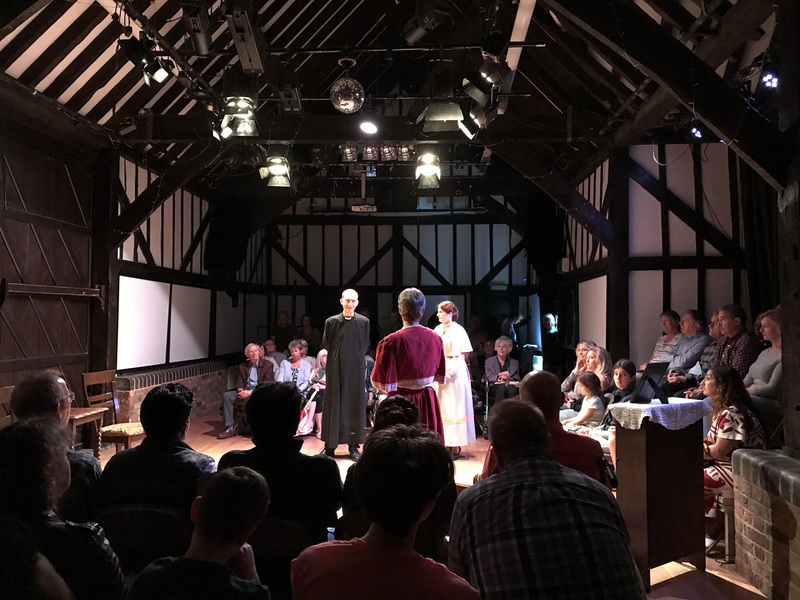 The four plays will be performed back-to-back at venues across Elmbridge and all proceeds will go to support the work of The RC Sherriff Trust. 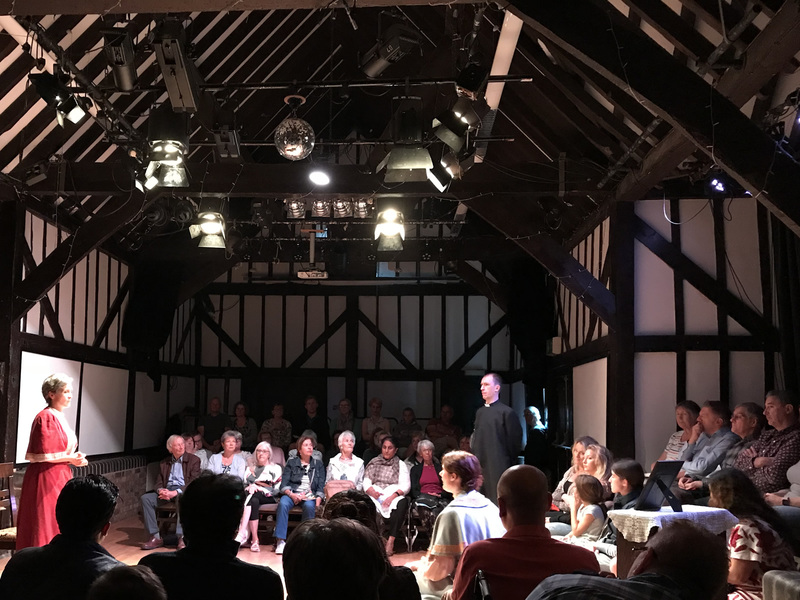 Tickets for the Riverhouse performance are available via the Riverhouse Barn Arts Centre website or box office.